Mahua Oil improves texture and vigour of skin. 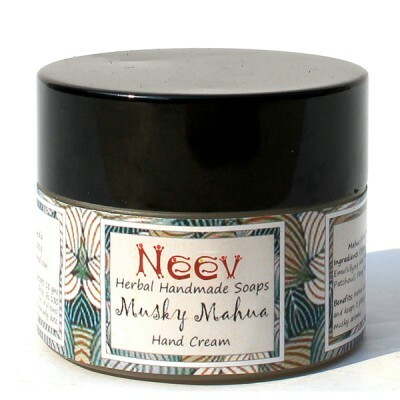 It prevents cracking of skin in winters and keeps it glossy and warm. Patchouli oil is antisceptic and antiviral and has a deep musky aroma to keep your hands smelling good.